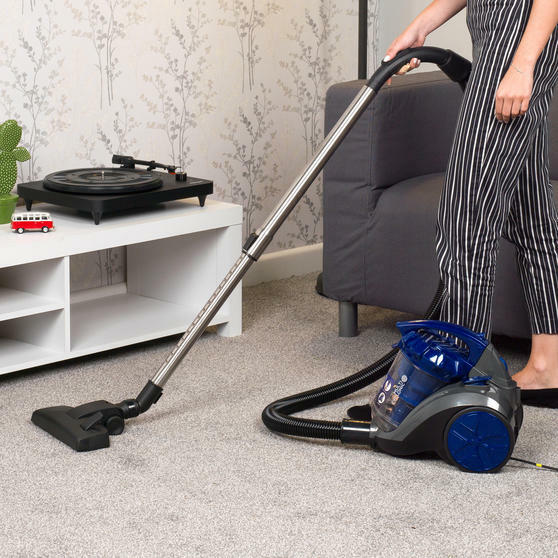 Experience multicyclonic vacuum technology and effortlessly eliminate dirt, dust and debris from your home with this Beldray Multicyclonic vacuum cleaner. 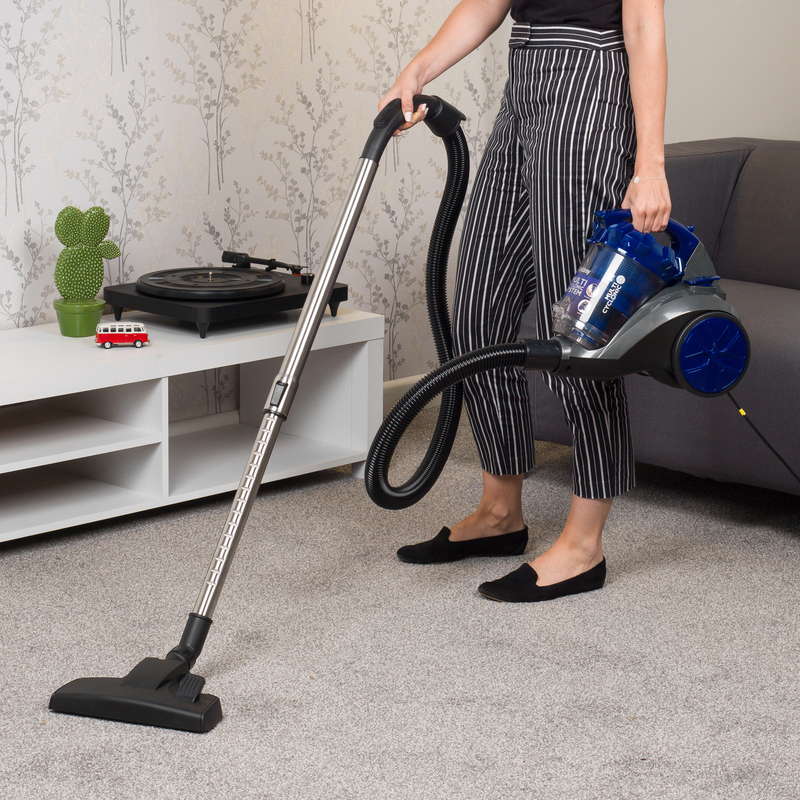 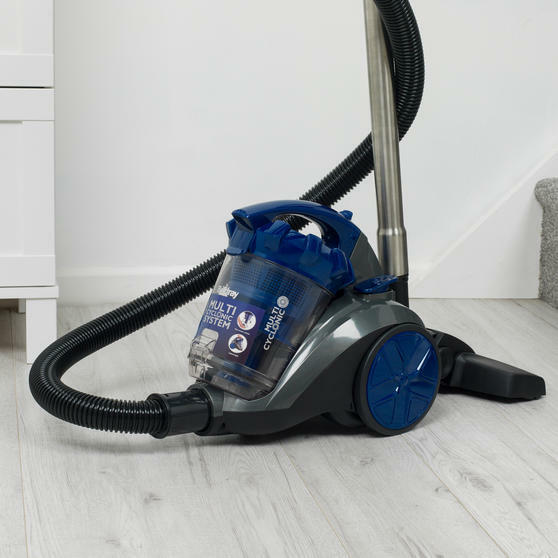 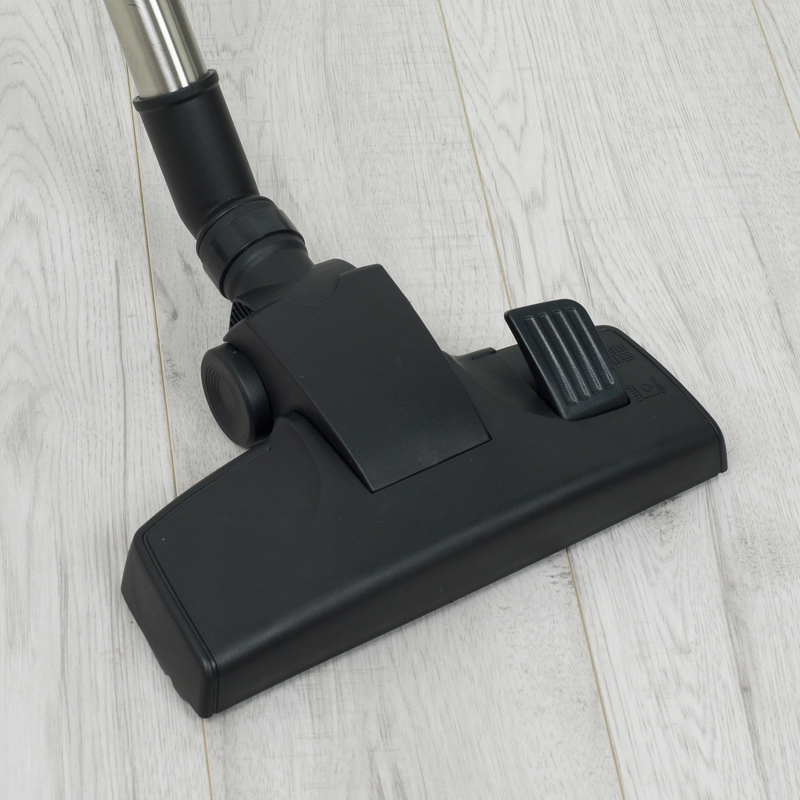 Providing superb cleaning performance on both carpets and hard floors, the vacuum features powerful suction and a superior filtration system to ensure impressive dust pick-up. 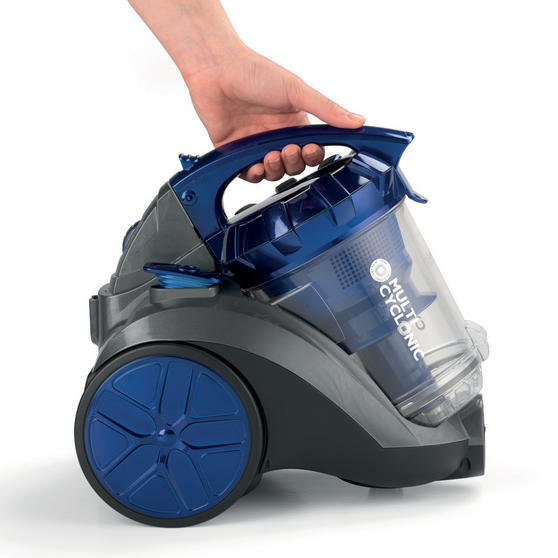 Compact in design for convenient storage, measuring at 32l x 22.5w x 30h cm, it is lightweight and comes with a variety of attachments to adapt to your cleaning routine. For a long lasting clean which requires less effort, this Beldray Multicyclonic vacuum has variable speed controls to suit your needs. 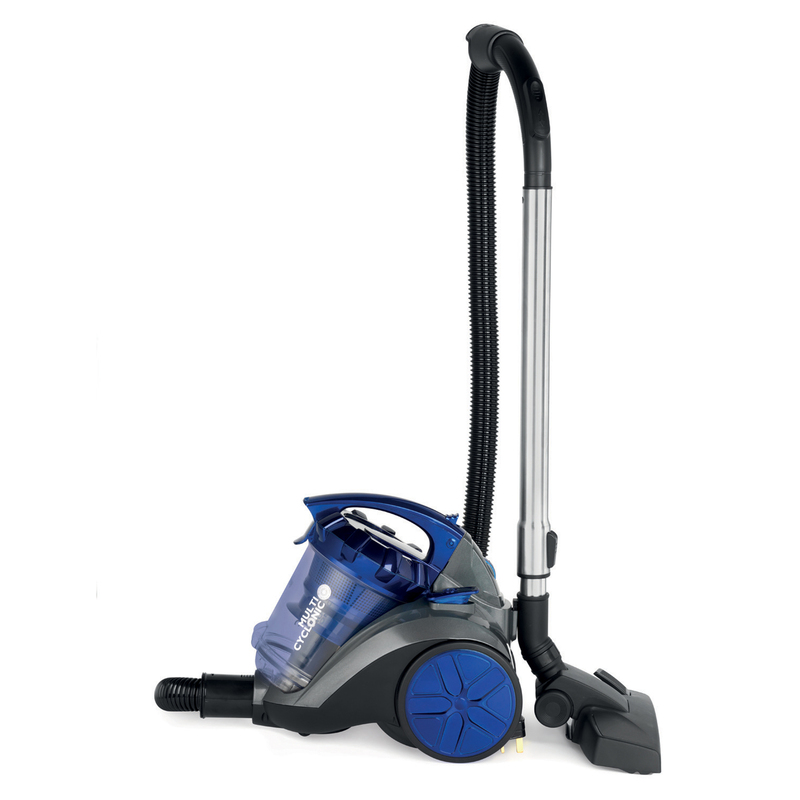 The multicyclonic vacuum technology and superior filtration system efficiently separates dirt from the air to minimise suction loss. 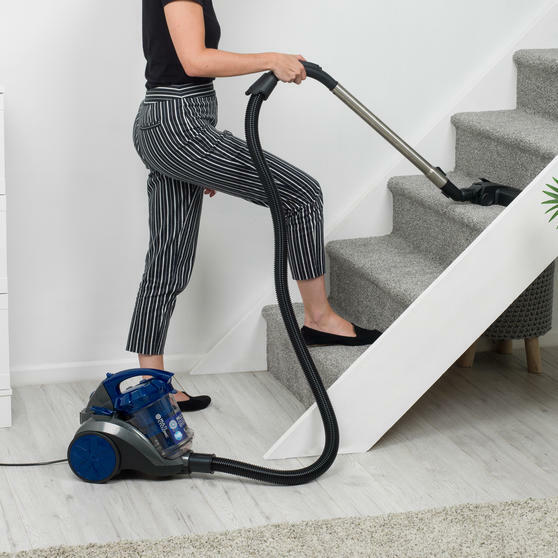 Including a floor brush and 2 in 1 crevice and brush tool attachment, the telescopic extension tube also provides easy manoeuvrability. 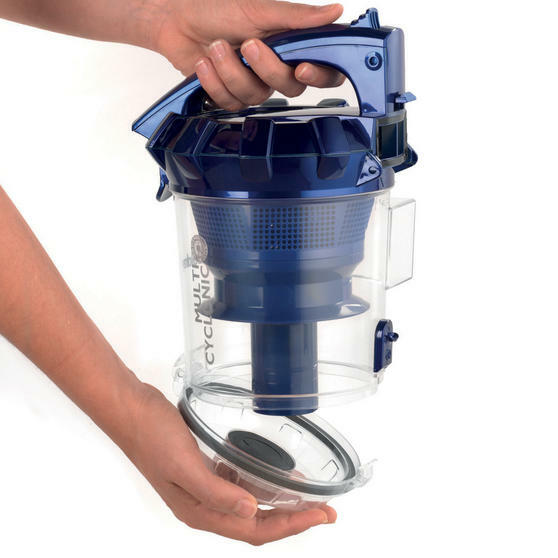 The easy-release dust container has a two litre capacity so less emptying is required, whilst the washable filter ensures durability.